Bonhams the British based auctioneers is offering an outstanding selection of street art at the inaugural US Urban Art sale on 29th October. Highlights of the sale include key works by the celebrated British street artist Banksy, Shepard Fairey, KAWS and the “Godfather” of East Los Angeles “cholo” style graffiti, Chaz Bojórquez. Other Banksy highlights in the sale include ‘Winnie the Pooh’, showing the well-loved bear with his foot caught in a bear-trap and an upturned money-pot (estimated at $50,000 – 80,000), ‘Heavy Weaponry’ estimated at $35,000 – 45,000 and ‘Lenin on Rollerblades’ estimated at $30,000 – 50,000. 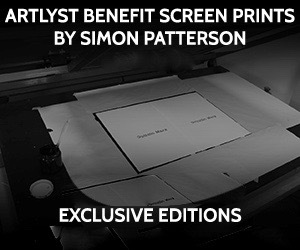 Thirteen of his popular prints will also be offered for sale. In addition to Banksy’s images, the sale includes pivotal works from important street artists who have come to define the genre. Key works include pieces by Chaz Bojórquez, Shepard Fairey, KAWS, Saber, D* Face, Mr Brainwash and Blek Le Rat. Auction 20511 LA 29 Oct 2012, starting at 18:00 PDT.